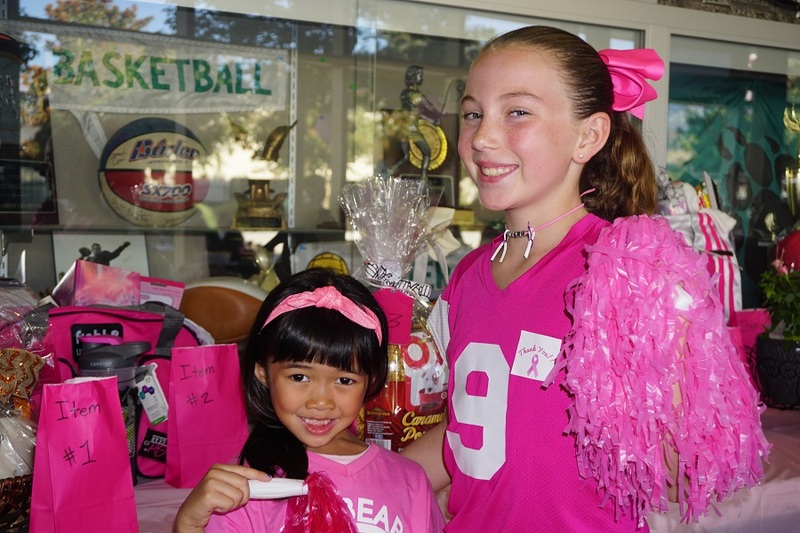 For these two youthful fundraisers, the score didn’t put a dent in the joyful occasion of raising money to fight breast cancer. 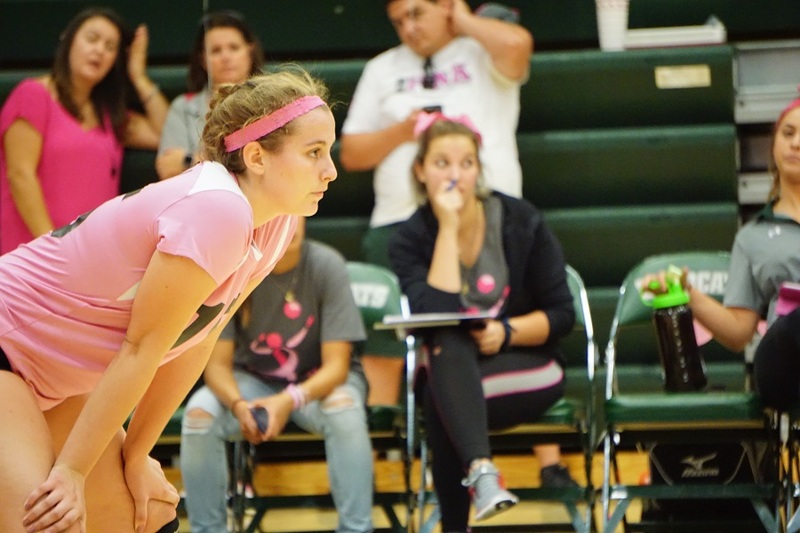 LA VERNE, California, October 5, 2017 — On a night they might have been more focused on raising money to fight breast cancer than slamming, blocking and digging out shots, the Bonita varsity volleyballers were swept by South Hills, 3-0, after losing 25-10, 25-17 and 26-24. South Hills presented a dominant front line that Bonita could not solve, although the ladies edged closer in each contest. They also committed an uncharacteristic number of errors from which no team could expect to recover. “South Hills kept putting the ball over the net,” Bonita coach Eli Cuenca said, implying that Bonita simply didn’t bring its “A” game to keep South Hills from scoring or imposing their will on the Bearcats. “I think their leading scorer had only six kills. Katie Jensen came up big in the third game to make the outcome a nail-biter. 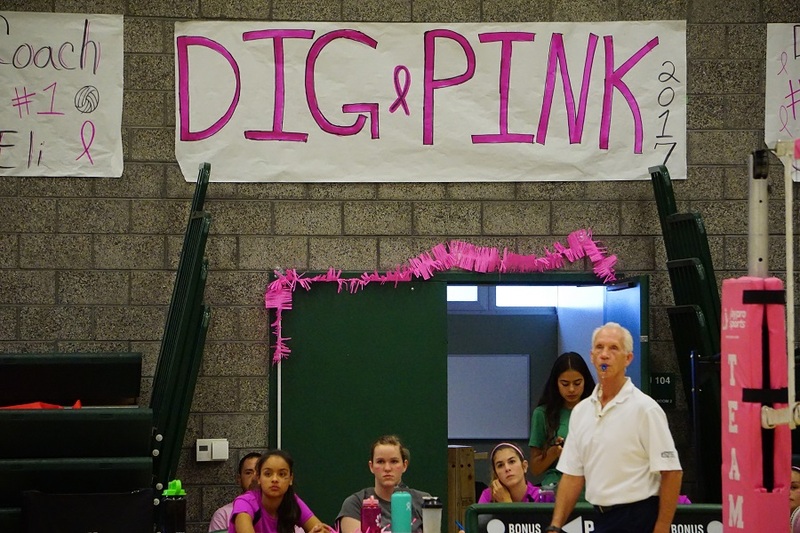 The “Dig Pink” match started later than normal because of all the festivities surrounding the fundraising night, but Cuenca said his players will have to overcome such distractions because many CIF playoff matches also start at irregular times. 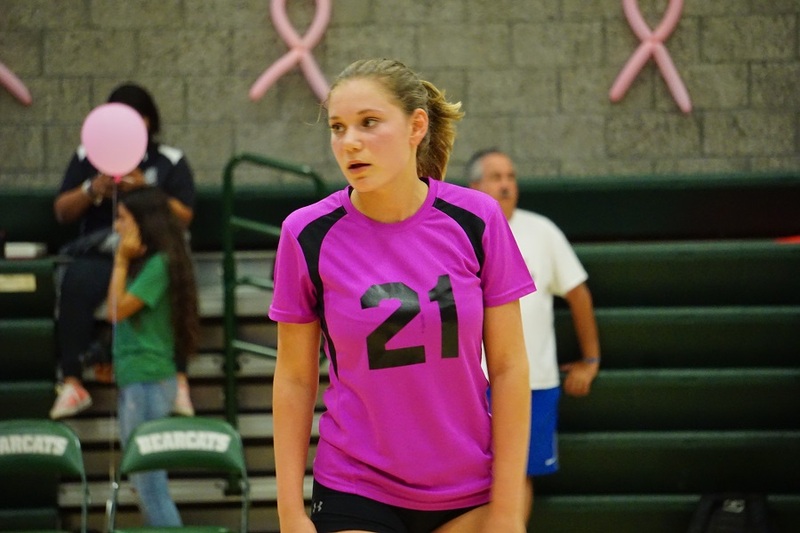 One bright spot for Bonita was the play of Katie Jensen. In the final game, she put Bonita on her back with 18 digs, 6 kills and 3 aces. “She really stood out tonight,” Cuenca said. 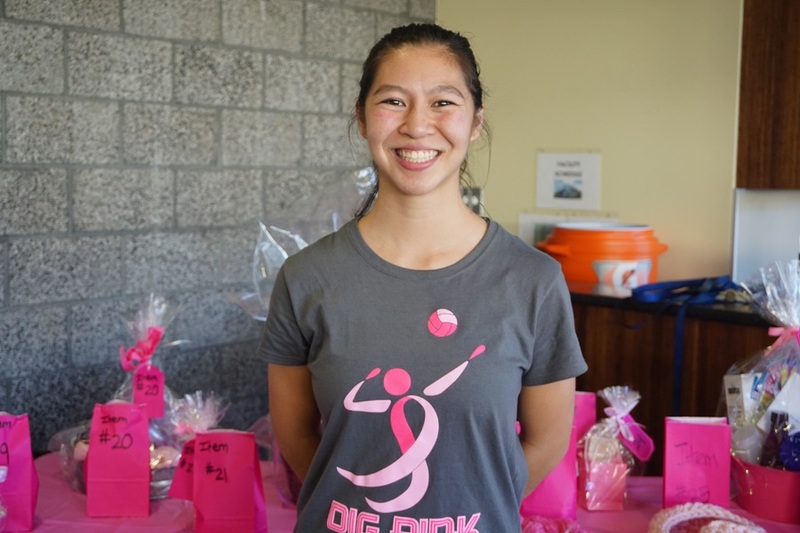 But the real story and stand-out performance on the evening was the amount of money raised by the “Dig Pink” event. 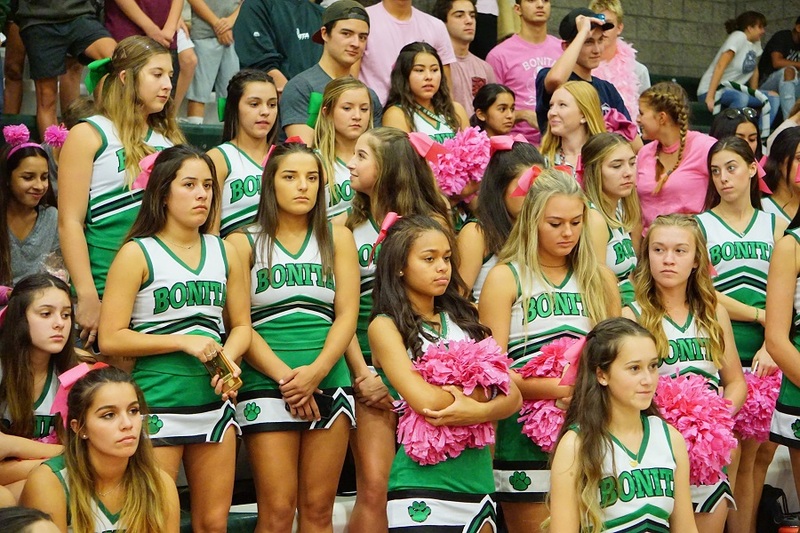 In addition to the funds raised from 50-50 sales and a raffle, many of the Bonita volleyballers cut their hair, totaling more than 160 inches in length, with their hair going to make wigs for recovering cancer patients. 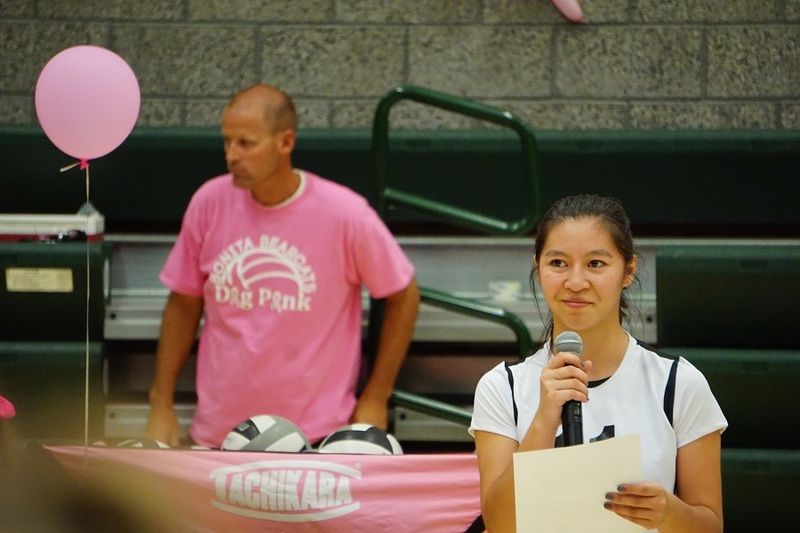 The Bonita JVs won their match, 2-1, but again on this night, the only score that really mattered was the amount of awareness and money raised to spike breast cancer. Student athlete Leila Low of Bonita helped organize and collect the many gifts and donations that made the raffle such a success. Leila Low thanked the crowd before the start of the match for its support. And here’s Leila again standing in front of some of the gifts that she helped collect and would later raffle off. Outside the gym, there were also plenty of goodies to purchase. In the JV contest, Jackie Grosswurt provide a spark for her team. The varsity’s play didn’t bring out the usual number of smiles. 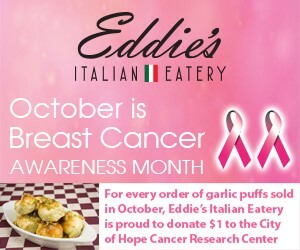 But in the end, everybody was digging pink. Hey, for all your health needs, try 986 Pharmacy in La Verne at 2143 Foothill Blvd.